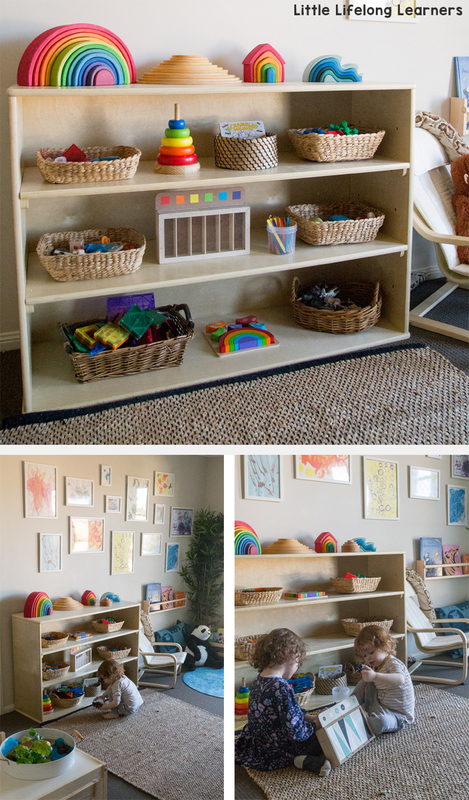 Our play room is our happy space. We spend the majority of our days in here playing! 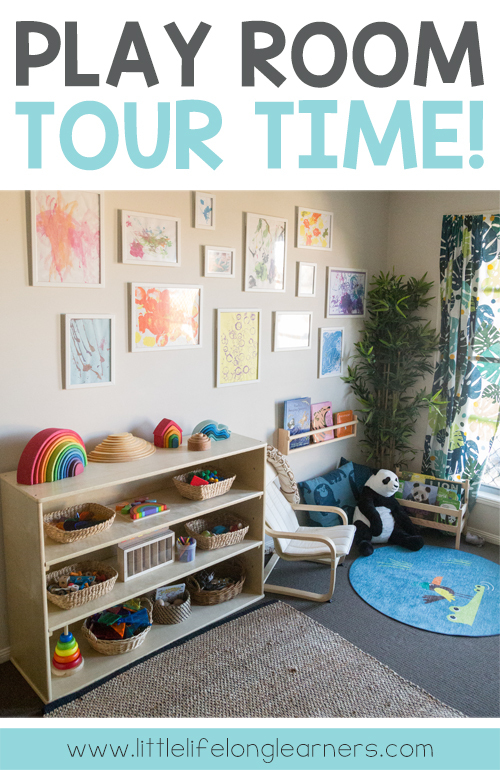 So I really wanted to jump on and give you a bit of a play room tour and answer some of the most common questions I get about our space! Toy Rotation is our THING. We’ve actually been rotating toys for about 3 years now and I can’t imagine a better system for our play space. 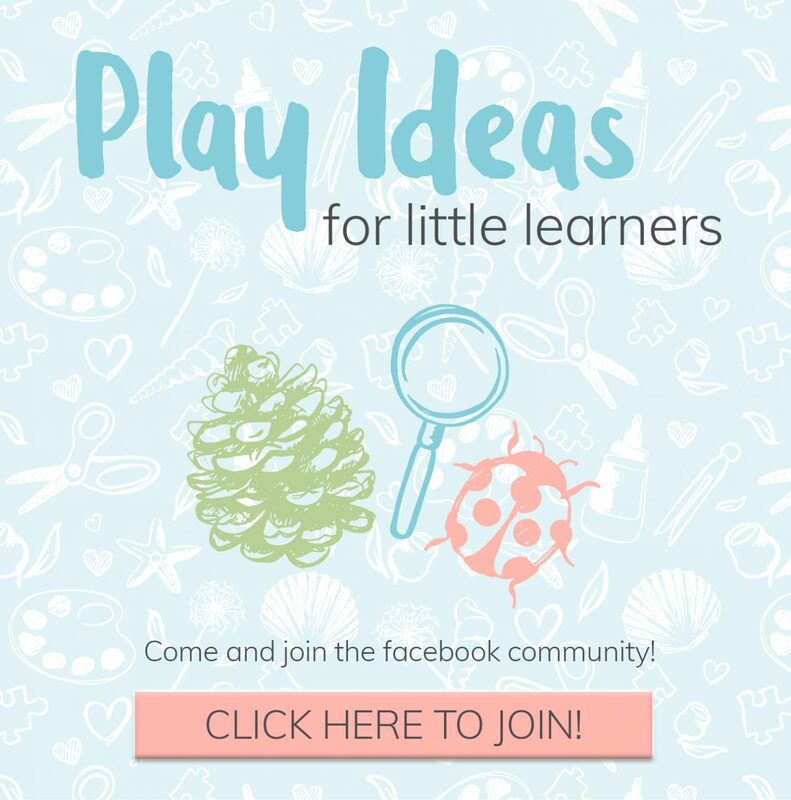 Not only does it really encourage creative, long-lasting play, it’s also a wonderful way to encourage independence in our little learners. With less out, they are able to pack up very easily and quickly without too many disagreements. That alone is a pretty big game changer for many families! 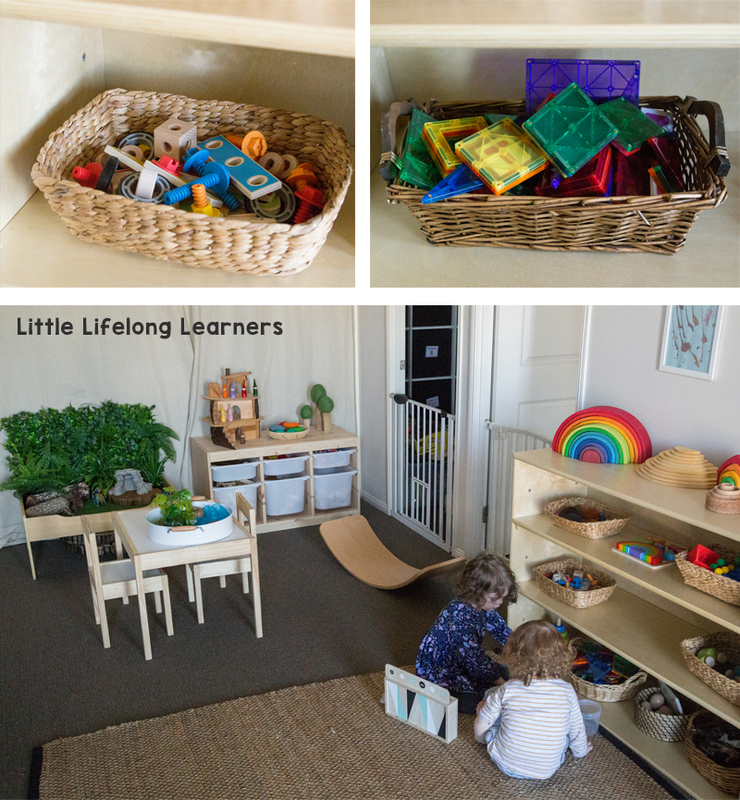 Over the years, our play space has evolved and changed gradually as the needs of our little learners changed too. We always used some cube shelves from IKEA for our toy shelves, but I recently grabbed a gorgeous three-shelf bookshelf from Educating Kids. I wanted some extra floor space so that we could add our IKEA Reading Corner to the play room. You can see that we often present our toys in small baskets. 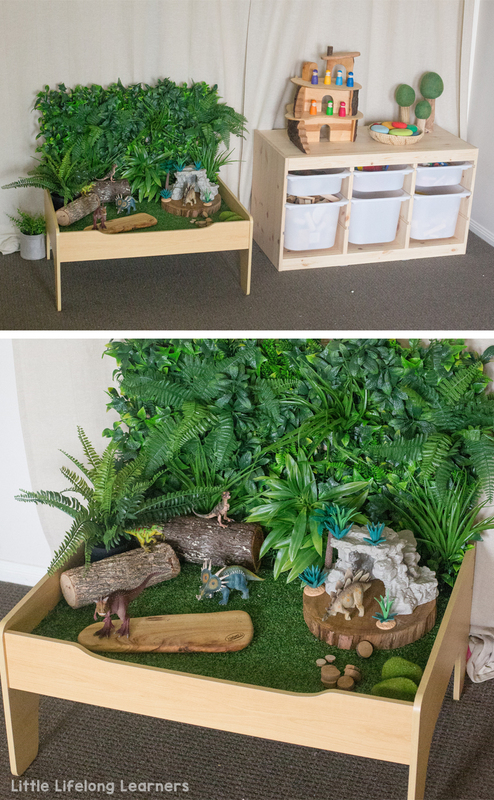 This helps organise the toys in a way that is both accessible to our little learners, but also brings a natural element to the space as well! Clean up time becomes really simple too because everything has its space. Most of our baskets come from second-hand thrift stores! When rotating our toys, I don’t stick to a particular schedule or theme. I usually rotate a few things out and bring a few new things in rather than changing everything in one go. Observing the children at play gives me a good insight into the types of activities they are interested in. 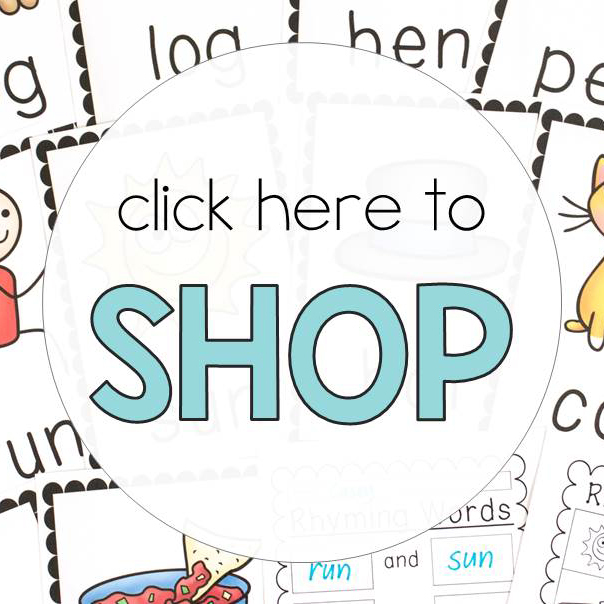 Lilly is 4 years old and is more interested in imaginative play…so most of the shelf activities are for Elliot who is 2 years old. The other side of our play room is our small world play space. This is where our Kmart Train Table lives. We’ve converted it into a small world table and rotate the theme based on our little learners and their interests. Right now it’s a little dinosaur small world! This is also where our IKEA TROFAST system lives. On top we have our magic tree house, grimms pebbles and wooden trees. The drawers are home to all of our different wooden building blocks, peg people and castle blocks. This system is working REALLY well for us! Okay! So where is this magical play room located? Our play room is actually in our master bedroom. Yep. You read that right! We moved out of our BIG master bedroom so that we could have a combined play room and home office. So the wall you can’t see in these pictures is where my husband and I have our desks set up. 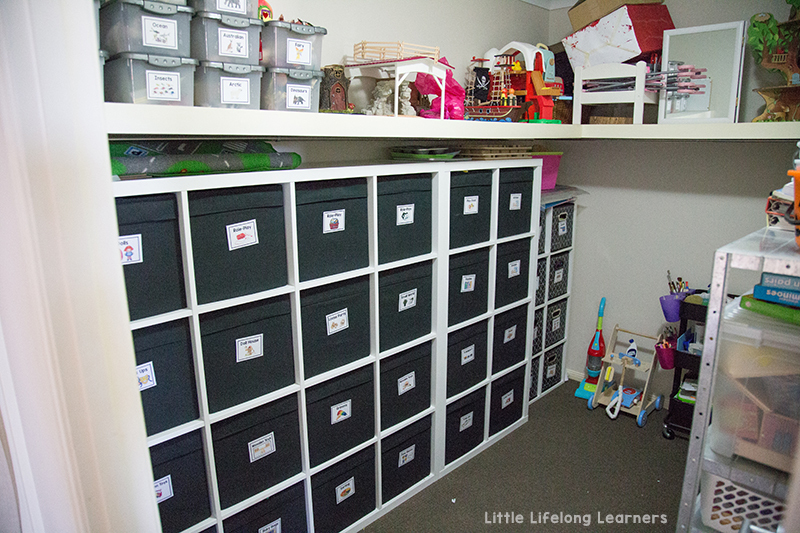 We use the walk in wardrobe to store all of our toys that aren’t in rotation, as well as all our art and craft supplies and all my teaching resources from back in the day! 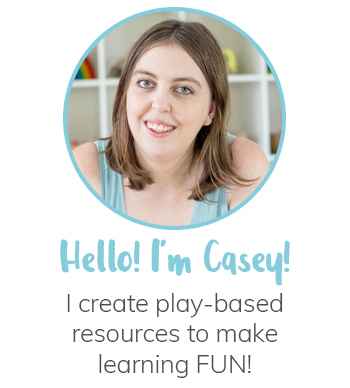 Some might say we’re a little crazy but having a beautiful and inviting space to play and learn in is reeeally important to my husband and I. We don’t mind making some sacrifices to make that happen! I’ll delve into our play room storage cupboard some more in a blog post soon, but if you have any questions about our space please feel free to ask them in the comments below!